The Global Forum rated Bahrain overall Compliant with the international standard on transparency and exchange of information on requests handled over the period from 1 July 2014 to 30 June 2017. Bahrain demonstrated improvements since its 2013 review in ensuring the availability of accounting information for all legal entities and arrangements, but received a recommendation to ensure that up-to-date beneficial ownership information is available for all partnerships as a result of the strengthening of the international standard in 2016. Bahrain had not received any requests for information at the time of its 2013 reviews. 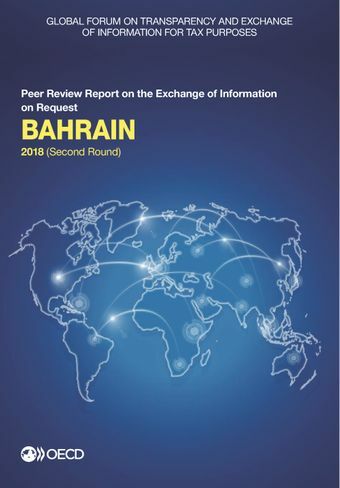 In the new review period a few requests were made to Bahrain, which demonstrated that its organisational processes allowed for timely responses to partners’ requests. Bahrain has expanded its tax information exchange network by ratifying the multilateral Convention on Mutual Administrative Assistance in Tax Matters, which entered into force in September 2018, and can therefore anticipate receive more requests in future. Read the news release.